Our Consignors gave over 1000's of item donations to local Twin Cities area charities who helps families in need. ARC of the Greater Twin Cities- Some donated unsold Items go to ARC of the Greater Twin Cities. ARC is a non-profit organization whose goal is to make life better for people with intellectual and developmental disabilities and their families. 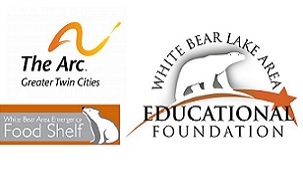 White Bear Lake Education Foundation Angel Fund/The Closet -The Closet is a place where WBL district families in need can “shop” for clothing in a clean, non-threatening, professional environment. They provide clothing and footwear items only; anything that can be worn from head to toe. The Closet is an extension of the Angel Fund. When students in our school district present a need for clothing, they will be able to shop for clothing, free of charge. Students and families are referred to The Closet by school administration.